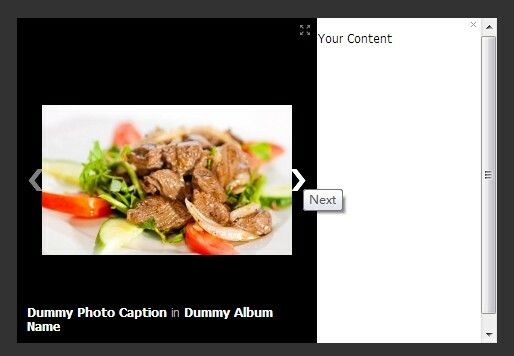 FBPhotoBox is a jQuery plugin for creating a facebook like image/photo viewer that features an image gallery on the left and content area on the right. 1. Include the jQuery library and jQuery faphotobox plugin's script and CSS files in the document. 2. Insert a group of thumbnail images with fbphotobox-src attribute pointing to the large version of your image. 3. Call the plugin with options and setting. This awesome jQuery plugin is developed by chrislam1987. For more Advanced Usages, please check the demo page or visit the official website.